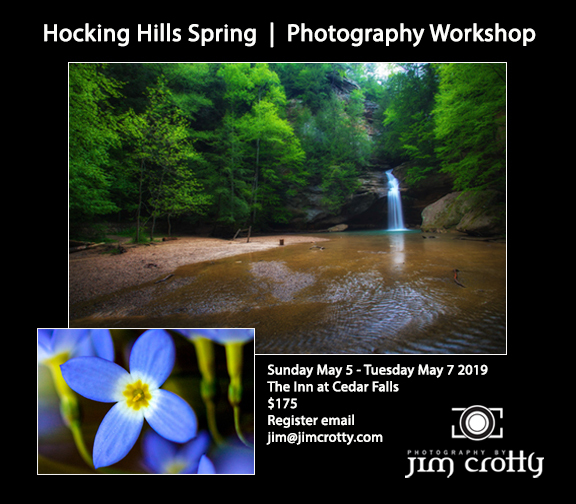 My next two-day photography workshop is scheduled for Sunday May 5th through Tuesday May 7th 2019 at The Inn at Cedar Falls in Hocking Hills, Ohio. The emphasis of this workshop will be spring landscape and close-up photography, amongst the waterfalls and wildflowers of Hocking Hills. Early May can be a spectacular time in this area due to the vibrant, new growth and the streams and waterfalls flush with flowing water. My photography workshops, which I’ve been presenting in Hocking Hills for nearly 10 years, are a fun-filled balance of both in-classroom instruction and field instruction. This particular workshop will open on Sunday evening with a get-acquainted session. I take the time to get to know each student and his or her photographic background, preferred subjects, and what he or she hopes to achieve in the course of the next two days. Almost the entire day on Monday May 6th will be devoted to field instruction along the trails within Hocking Hills State Park, including my favorite locations for this particular time of year. Tuesday morning too will include field instruction at sunrise at The Inn at Cedar Falls as well as an additional morning location before we conclude with a late morning/early afternoon classroom session to go over best techniques and tools for image editing and organizing as well as a session for group image critiques. Weather-permitting I will also include a session on Milky Way and night sky photography on Monday evening, May 6th. “Why Sunday through Tuesday?” Good question. Hocking Hills State Park is perhaps arguably the most scenic area of Ohio and when compared with all national and state parks throughout the entire United States Hocking Hills now ranks in the top 20 when it comes to the amount of annual visitors. Weekend traffic within the park – both with parking and on the trails – can be quite active. I’ve come to believe that to truly connect with subject (this case being the landscape and flora of the region), photographers require more “space” and the natural, calming energy of the location. It’s well-worth taking the time early in the week to achieve these conditions during my workshops. Most of my workshop students are beginner level photographers with their first DSLR camera, wishing to learn more about how to master their cameras for optimal creative control. However, I always provide useful tips and instruction for more advanced photographers as well. The teaching emphasis is on both the craft and art of nature and landscape photography – learning the technical in way that will always support and serve the unique artistic vision of each photographer. I also believe that my students learn just as much from each other as they do from me, thus I foster a workshop learning environment of openness, support, and sharing of a common passion for the art of connecting with nature through photography. Cost will be $175 per person. Cost includes instruction, handout material, and lunch on both Monday and Tuesday. Custom holiday gift certificates are available for those wishing to gift the workshop to a friend or family member for Christmas gift-giving. To register or questions email jim@jimcrotty.com. Cost does not include transportation and accommodations. However, I do highly recommend making reservations for any of the rooms, cottages, cabins, or yurts (my personal favorite) at The Inn at Cedar Falls as soon as possible. Due to the workshop being held from Sunday evening through Tuesday the chances of reserving accommodations at The Inn go up significantly. I am also happy to recommend a number of other excellent facilities nearby within or just outside of Hocking Hills State Park. To check with availability at The Inn at Cedar Falls call (740)-385-7489 or visit their web site at innatcedarfalls.com. Plus my workshops are just plain FUN. 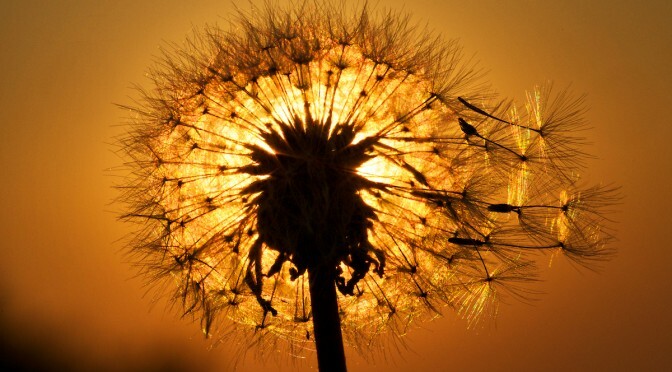 Learning the art and craft of nature photography does not have to be tedious and stressful. Far from it. It should always be a fun and rewarding experience. I have been leading and teaching photography workshops in Ohio since 2009. My emphasis is on my students, providing both small group and individual attention and instruction based on what I observe as current skill and knowledge levels and potential for growth in both artistic vision and technical knowledge. What I DON’T DO is photograph for my own portfolio while leading and teaching workshops. The only photography that I engage in during my workshops is when demonstrating technique, camera settings and composition for the students. Since beginning my photography workshop programs over seven years ago there have been a number of other professional photographers in Ohio who have attempted to imitate my style of instruction and within the locations that I know and photograph so well. But here’s the difference – I know how to communicate, how to teach and how to connect with my workshop groups. Just ask anyone who has attended one of my programs in the past. Prior to beginning my career as a professional photographer in 2003 I worked in management level positions in human resources, marketing and public relations in several different industries. I’ve also taught at the college level classes in public speaking and journalism. There are many talented professional photographers but few who can successfully connect with, guide and encourage others, particularly those who are just beginning their own creative journeys in the beautiful world of nature and landscape imagery. I am a Certified Professional Photographer, earning this rarely achieved designation among other pro photographers in Ohio through my involvement with the Professional Photographers of America. My work has been recognized with numerous national and state awards as well as published in Outdoor Photographer, Nature’s Best, Smithsonian, USAToday and Professional Photographer magazines. I’ve photographed book covers for internationally published authors and installations of my fine art prints are found in several of the largest hospitals and medical centers in Ohio.